If Not Now, Then When? 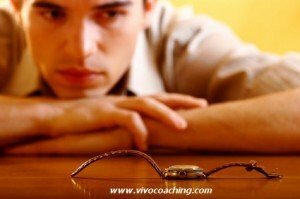 Stop Procrastinating and Take Immediate Action! However, sometimes we also procrastinate and postpone things that we would actually like to do. But because we think the timing is not right, we do not feel sufficiently prepared, or we are just not confident enough we prevent ourselves from taking the next steps. On the other hand, I have made only positive experiences whenever I overcame my procrastination. For instance after a longer break, I started motorbike riding again. I always dreamed of riding a top sports bike. But once more I thought the time is not right, it’s too dangerous, I need to develop more skills for handling such a beast, and I should start with a smaller bike. “If not now, then when?”, I heard the tunes from an old Tracy Chapman song (lyrics) murmuring in my ears. Would the time be right when I had a 400 cc bike for a year, and then a 750 cc one for another two years? Or when I felt more confident? Or perhaps never…? That was the moment I remembered family members, friends, colleagues who died at an early age (much too early! ), and I wondered how I would feel lying on the deathbed with a long list of missed opportunities and things that I always wanted to do but never did. Boy, I got a very clear answer to the question “when”! I decided that I was no longer 18 and thus mature enough to handle 180 horsepower on two wheels – and went for a 1000 cc supersports bike. My reward were some of the best times in my life traveling all over Thailand, riding on the track, and making new friends! What is on your to do list? What are the things that you just do not want to regret not having done? Let me tell you something very clearly: in many cases the time will never seem right, so make a change today; follow the Nike slogan and just do it! So, when will you sign up for the Yoga class, or start your diet? When will you make the phone call to that friend you haven’t talked to for months? When will you ask this girl from your gym out for a date? When will you make that necessary career change? When will you build this house you have been dreaming of for ten years? Better take control of your life, and take some action right NOW! You will see it will make you FEEL GREAT! Enjoy life!